Hi friends! 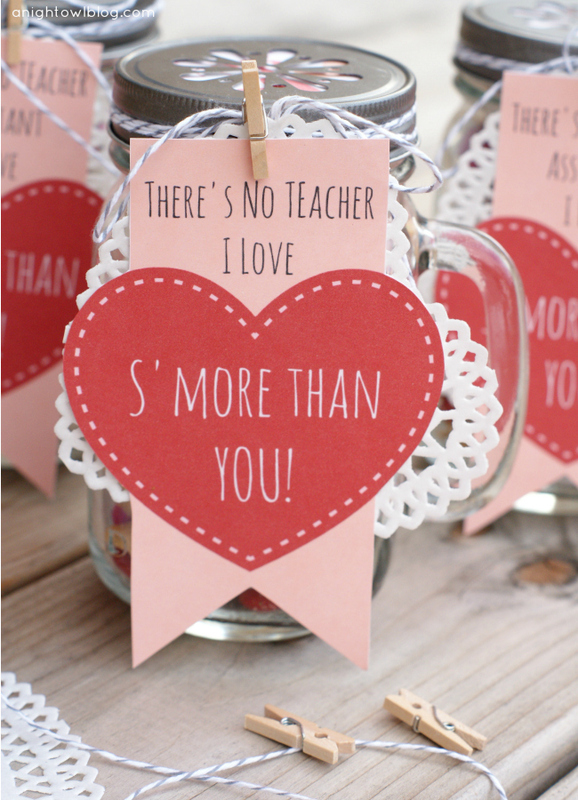 Today I’m sharing with you an ADORABLE Teacher S’mores Mason Jar Valentines gift! NOTE: if you’re looking for a non-teacher version, head here! 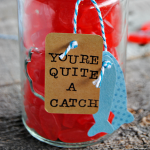 Now I know that Valentines is quickly approaching, so the chances that you still need to find school gift ideas are slim! 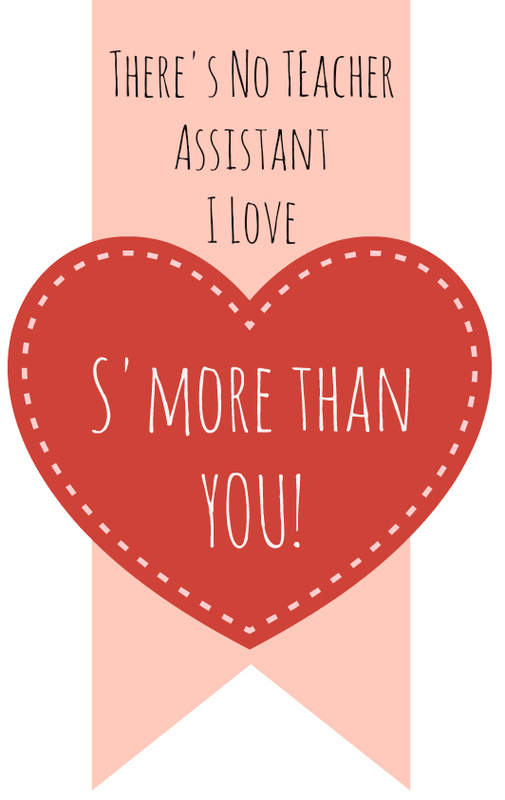 This year, my preschooler will be giving out the Cool Kids Valentine’s Day Printables along with some tasty kettle corn to his fellow classmates, but what about his teacher and teacher assistants? I decided I wanted to do something along the lines of our S’more Love in a Jar gift that I made for my friend’s bridal shower. 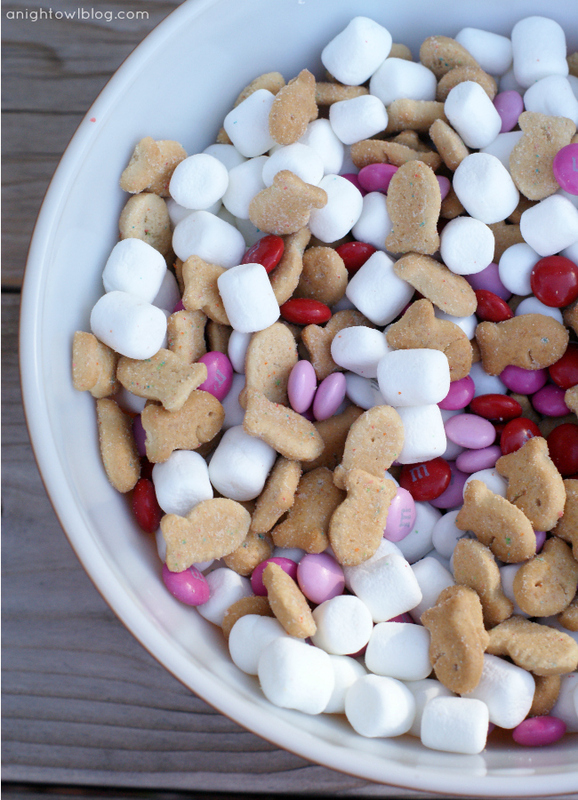 So first thing’s first: make a fun Valentine’s S’mores Snack Mix! That’s right, I just mixed up some festive M&Ms, marshmallows and Goldfish graham crackers for our S’mores snack mix, and filled a mason jar with a handle. Now I love giving these handled mason jars as gifts, because they’re easily reused in the home! I drink out of mine all the time! And did you know you can get a set of 12 of these jars from Amazon for just $25? That’s where I’ve ordered all of mine. Such a deal! 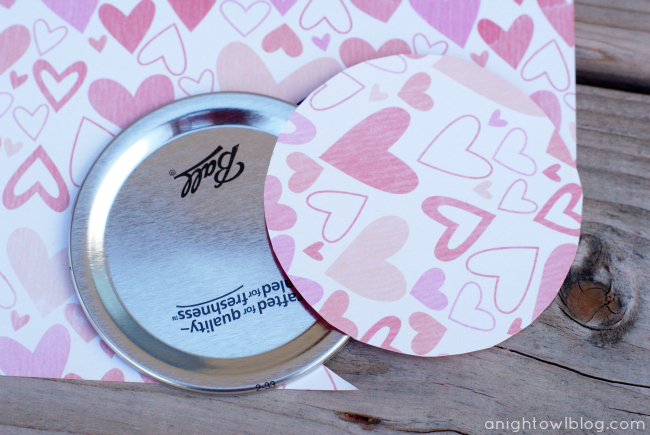 For the lids I wanted to use one of the fancy Daisy Mason Jar Lids, but to keep things sealed I used the base of a regular canning lid, traced and cut out a circle of paper from Martha Stewart Crafts Valentine Paper Pad. 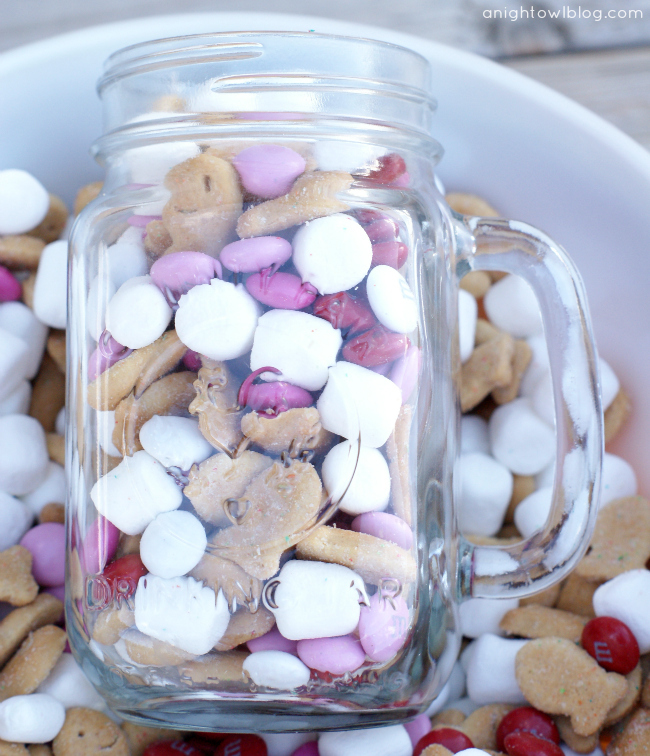 And you have a perfectly adorable mason jar full of Valentines S’more Snack Mix! But that’s not it. 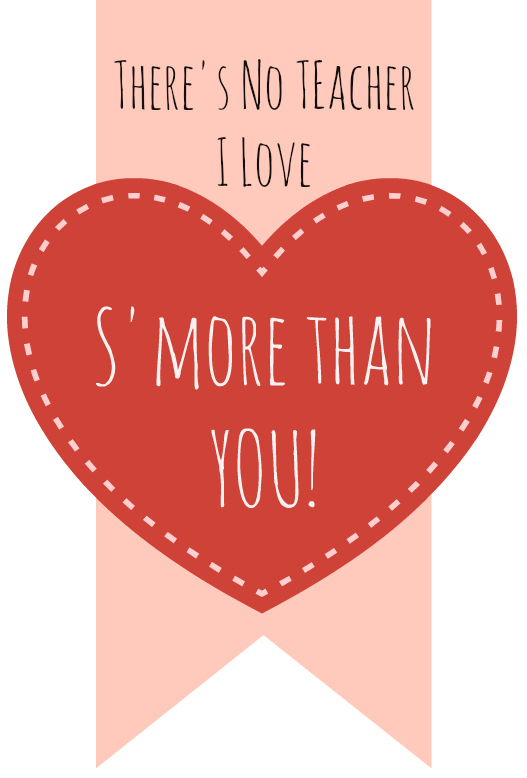 I whipped up a little printable for the front that says “There’s No Teacher I Love S’more Than You!” I made ones for the assistants too – you can’t leave them out! I think they’re the ones always chasing after my 3-year old. Hehe! 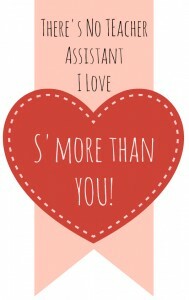 Then I printed and cut out the Valentines banner, strung a little bit of bakers twine, added a little doily and voila! 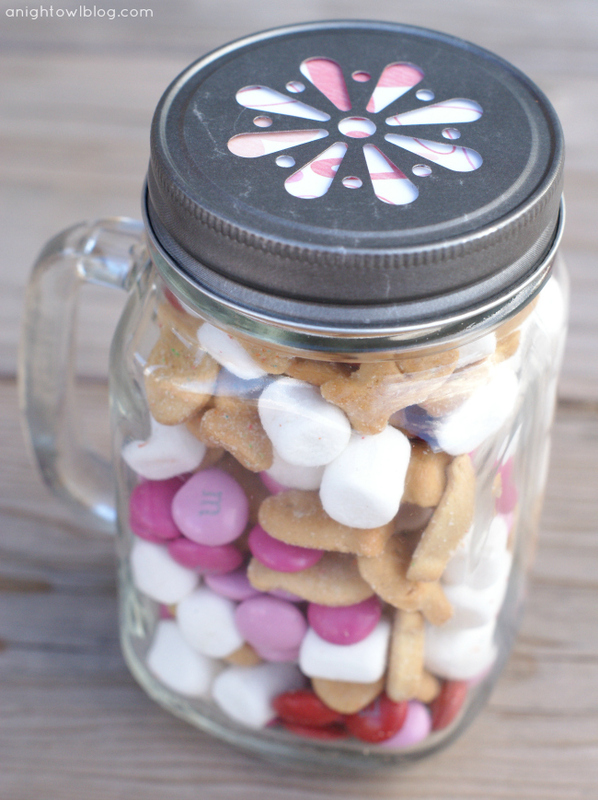 A perfectly sweet Teacher S’mores Mason Jar Valentines gift! What do you think? I’m just in love with them. I may like them more than the teachers even will, but that’s ok. I love putting together little gifts like these! If you’re still looking for teacher ideas, feel free to use these! Here are the little printables I whipped up that you’re also free to use! Just right click to save the images below or DOWNLOAD THIS PDF! NOTE: if you’re looking for a non-teacher version, head here! So what fun valentines are you giving this year? I’ve been sitting here reading all these blogs and diys trying to find something to make for my best friend, and this is absolute perfection! I’m definitely going out today to get the ingredients for this. Thanks! These are so adorable! Love the mix inside so clever, and in a mason jar. Everything is better in those! Such a cute idea!! I’m having Bunco at my house in a month and this would be a great goodie thing for the girls. Thanks so much for sharing!! Love it!! Oh man, I wish I had seen this sooner … I LOVE IT! Here’s an Amazon listing for gold ones (https://ow.ly/hHv4U), otherwise check local party supplies or keep an eye out at places like GroopDealz and Pick Your Plum! These are super cute!!! Great ideas. Definitely pinning for gift ideas for next year! Coming by from Your Creative Timeout Party! These are adorable!!! I love the idea! I am pinning it for next year! I would love to have you share this and any other projects that you may have over at my new Pinterest Power Party! What an adorable idea! You could use this for somany other things too! How creative! So. Freaking. Cute. I am totally pinning this. Love it! I love this idea!!! Totally pinning for next year!! Have a great weekend! Where can i find the daisy lids. Do you know if they can be purchased with out the jars. 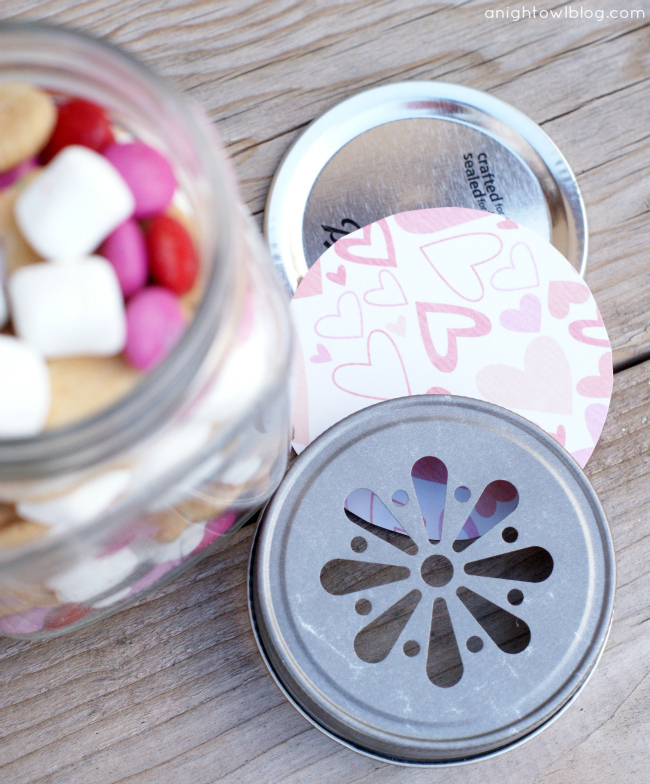 I love these mason jar ideas. Thanks for posting! Hi Sarah! I think I got mine off of a Pick Your Plum or GroopDealz deal. But I would check local party supplies or craft stores, and if you can’t find them there, they’re definitely on Etsy! SUPER LATE but I was just on Amazon today and they have them there! Oh that’s good to know, thanks Beth! I had no idea they made graham cracker Goldfish. This is such a great idea & the trail mix looks delicious! Thanks again for linking up for Craft With What You’ve Got! This is PERFECT for me! Simple and super cute! Thanks for sharing!! I was not able to access the file for the Teacher Assistant design. When I clicked into the file to print it or to save it, it reverted back to the basic Teacher design…can you help?! My dad has a whole shop dedicated to Mason Jars and I’m always looking for cute crafts like this for our Facebook page. These look beautiful. He’s got the jars on sale right now for 19.95 if you want an even better deal than Amazon. Love this idea, thanks for sharing. My only question, how did you print the labels with two colors? Thanks so much. Hi Romi – if you download the file it already has two colors, simply print on a color printer and it should come out fine! Good luck! 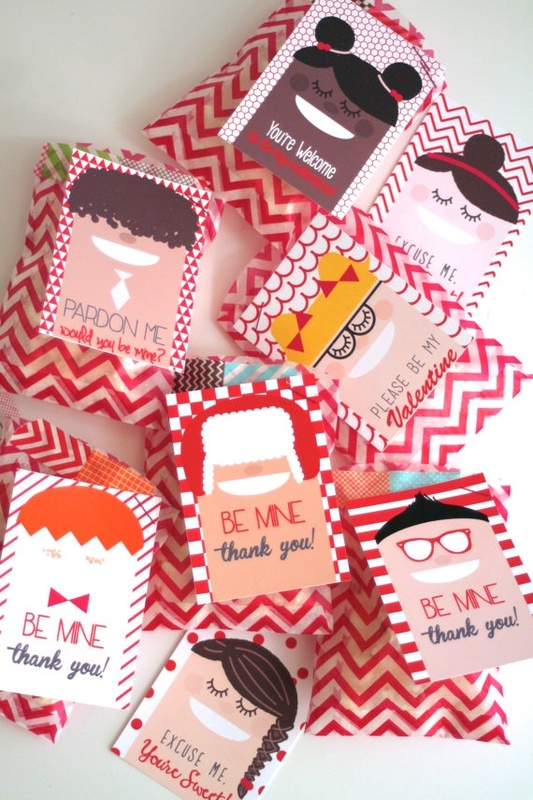 loved this idea so much included it in our DIY Valentine’s Day Gift Ideas round up post. Help!! I can’t find plain gram cracker fish?!?! This is so ironic…I make this all the time for my kids with the mini graham crackers. 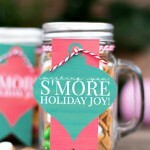 They look more like s’mores…and I just happen to have a case of mason jars left over. BINGO. LOVE this! Sharing on my FB page! Thanks! Hi there! 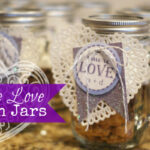 Loved this idea and added a link to your page in my post 5 Valentines Gifts in Mason Jars. Thanks so much for sharing this great idea. 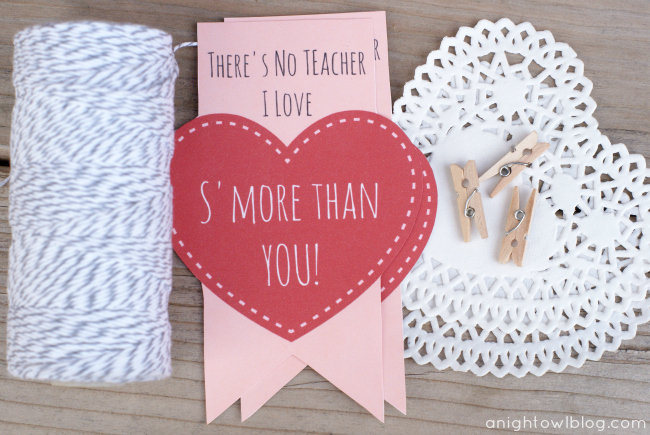 I am whipping these up as gifts for my teacher friends! Thank you – and thank you for sharing Karin! 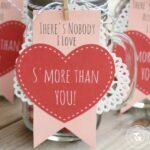 I was collecting some DIY valentines ideas on internet and came across your blog its beautiful and so easy to do it. 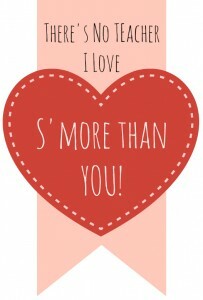 I would love to add your creation to my blog post as an awesome idea for valentine, If you allow me. It’s such a nice way to say thanks and share your love with teachers. Sure thing! You may use one photo with credit and a link back. Thanks! That’s awesome – great deal! Ohhh that’s such a cute idea Rachel! just wondering if you would make one that said “there is no ONE or BODY (instead of TEACHER). THANKS! I have just fallen in love with your blog – you are amazing – simply amazing. Thank you for sharing your creative self!!! 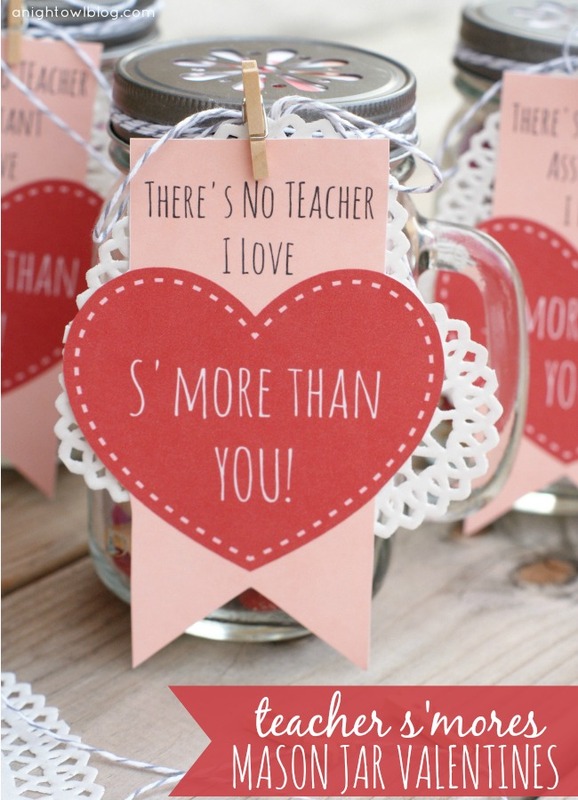 I LOVE these Valentine’s gifts for the teachers but when I print it off it is way to big for my mason jars!! Please help!!! Thank you!!! Hi Cara! How are you printing? I posted a higher-res image for quality, but you can easily resize within any photo program or something like Microsoft Word! I tried to resize through Microsoft and couldn’t. I will retry thanks again!!! Hi! I printed off the teacher valentine and it’s to big for my mason jar!!! Is there a smaller version of the tag?? Plaease help!!! Thank you so much for posting this! My sons teachers will love it! I was looking for something cute to put with the graham crackers, hershey’s bar and marshmallows that I put together for the teachers. This is the perfect label 🙂 Thanks for the great printable!!! Next year, I am going to make this cute snack mix. Found your site linked from another….can’t wait to make these this year for our daughters’ teachers! I’ve already ordered all the supplies! Now, just to get the snacks, clothespins, and prints. Thanks so much for sharing your cute idea! Oh that’s so great to hear, Annette! Thank you so much & Be blessed! Hi Victoria – sure thing! I whipped up a PDF of a few of the tags, you can download it here: https://drive.google.com/file/d/0B8e3Zgdb41aoRTg1X1F2MUdRcXM/view?usp=sharing.